As women we’ve been sold a story of silence. A story that tells us to be quiet, to be good and to be “nice”. But not any more. Today women around the world are reclaiming our voice, rediscovering our power and choosing to no longer hide in the shadows. As a female leader, now is your time to rise up. To do this, you must rediscover what it means to be fully expressed, to be seen and to be fearlessly willing to show yourself to the world. No more hiding, toning it down and dimming your light. This retreat is designed to help you remember your power, reclaim your voice and reconnect to your divine feminine essence so you can step fully in to your leadership and your calling. It’s your time to be felt, seen and heard in the world. 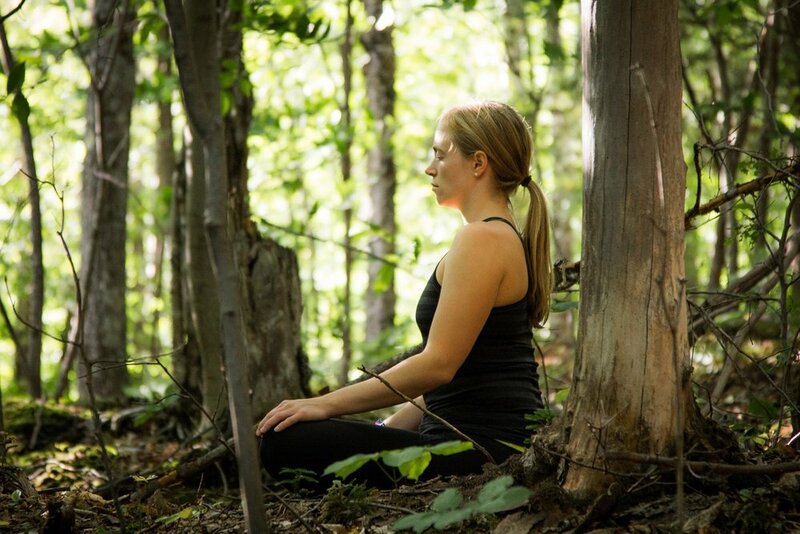 Over the course of 3.5 days, you and a group of smart, soul-seeking female leaders will gather together in the heart of the mystical Blue Ridge Mountains. Experience powerfully facilitated workshops and periods of quiet restoration to help you return to the heart of what it means to be a fully expressed woman. Experience live, guided group hypnotherapy sessions to get to the root cause and reason behind your fear being seen and rewire your mind to feel worthy and confident no matter what. Participate in daily guided yoga classes and facilitated women’s embodiment practices to get out of your head and in to the wisdom of your body. Remember what it it’s like to feel yourself again without fear of judgement. Slow down, drop in and make space to listen to your inner voice and connect to your spirit to reconnect with your higher truth so you can lead from a place of clarity and confidence in all areas of life. The Blueridge Mountains are home to several energy vortexes, Native American ancestry and is full of peace, tranquility and wilderness. 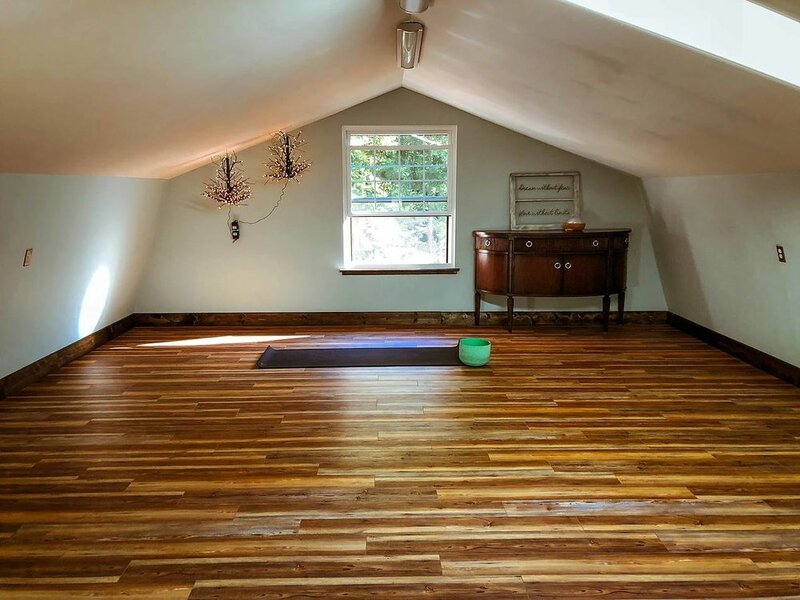 Your journey will take place at Indigo Retreat, a private, modern, mountain retreat nestled deep in the woods. 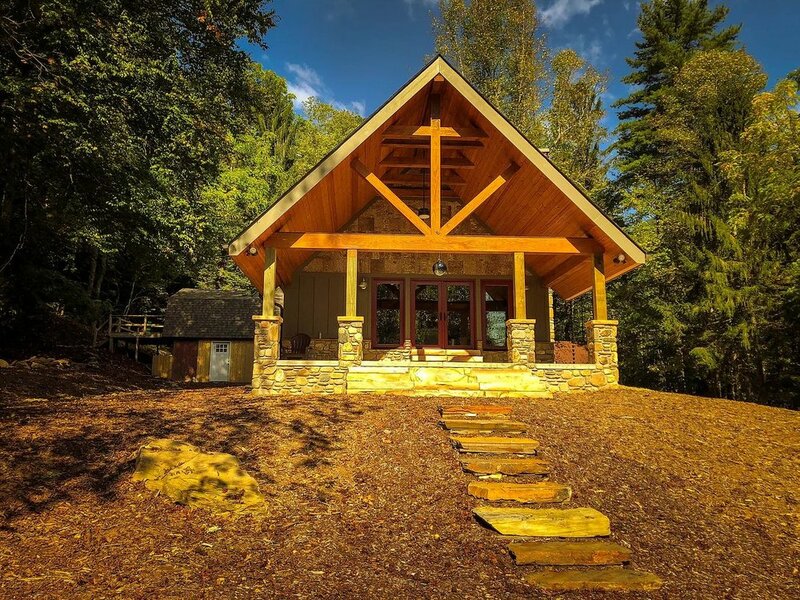 The property features a rocky creek and bridge, miles of hiking trails, fire pit, tiny house cabins, a main lodge and “yoga barn”. A perfect place to go deep, restore and just be you. Early Enrollment ends on 2/15/19 and is an investment of $1,200 with $500 deposit required to hold space (remaining balance due by March 10th). Regular Enrollment begins 2/16/19 and is an investment of $1,500 with a $750 deposit required to hold space (remaining balance due by March 10th). With over 40 years of combined experience in psychology, hypnotherapy, coaching, yoga and trauma informed processing, our team of facilitators is equipped to guide you through your darkest moments and greatest light. Jess Geist, M.S., is CEO of Worth to Wealth and Creator of the Subconscious Harmonics Method. By combining the power of conscious and subconscious rewiring, she has helped hundreds of women break through limiting beliefs and create thriving businesses and lives they love. Her clients range from multi-millionaires and Fortune 100 executives, to online entrepreneurs and new founders who are just starting out. She has an M.S is Learning and Change, a BA in Psychology, is a licensed Rapid Transformational Therapist and trained coach. M.S.,E-RYT500,YACEP - Martha has practiced yoga for over 25 years with, 20 as teaching experience since completing her 240-hour training in 2003. Martha continued after her 200 hour training to receive a 700 hour yoga therapy training. She approaches teaching yoga as a method for health and wellness rather than solely a physical exercise; to develop skills within each practitioner to improve the quality of life; and promote self-empowerment to improve physical, emotional and psychological health. “Jess walks you through the resistance you don’t even know is there & takes you beyond them.” - Sasha H.
“My voice is so much stronger - something I’ve been trying to do for years and now I am ok with being seen in the world.” - Sarah T.
“Thank you for your amazing skill and generosity in bringing us on our journey to worth!” - Brigid A. Feeling called to be with us? We are currently curating participants for the event. Click the button below to complete a simple form and schedule a call to learn more.